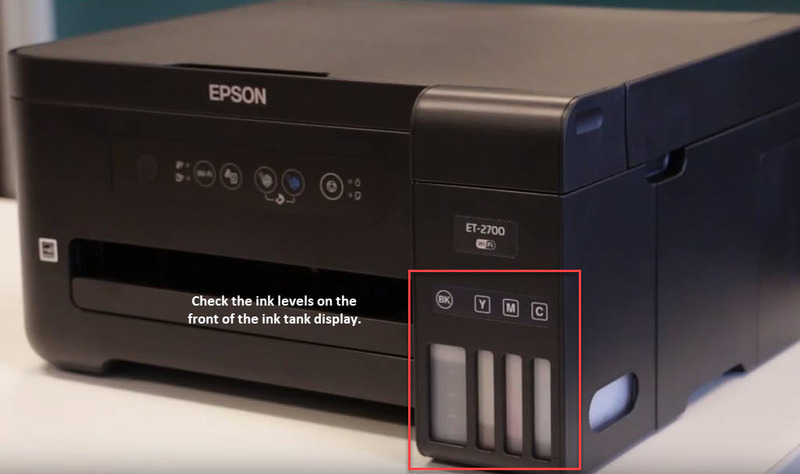 Learn how to install Epson 502 ink bottles in five simple steps! 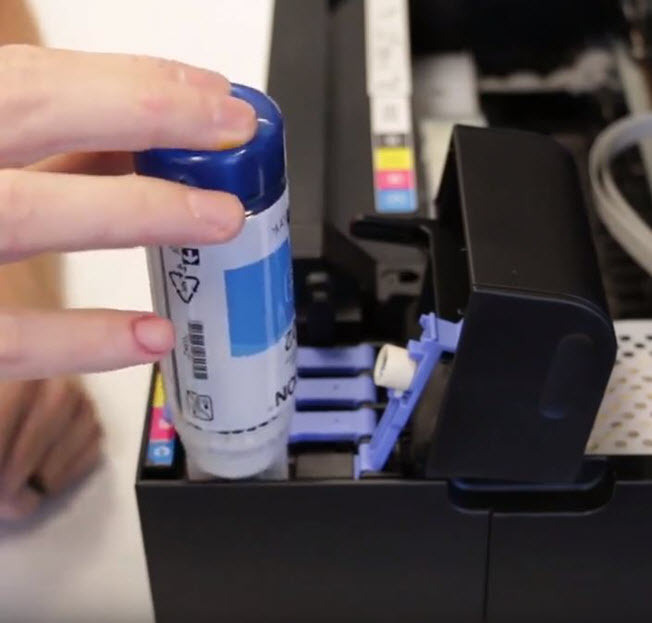 Epson 502 ink bottles might seem a bit intimidating to install at first glance, but the process is really quite easy! 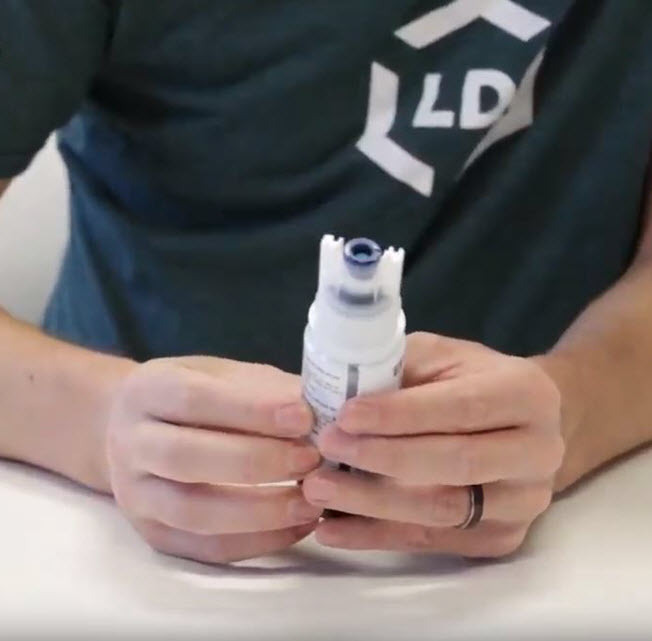 In this quick guide, we will walk you through installation step-by-step and offer some simple cartridge care tips too! 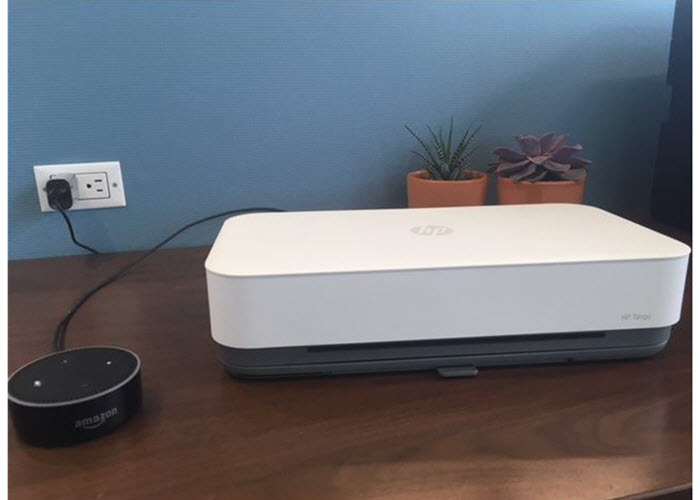 Ecotank® printers are a great option for home users and small businesses with high volume inkjet printing needs. 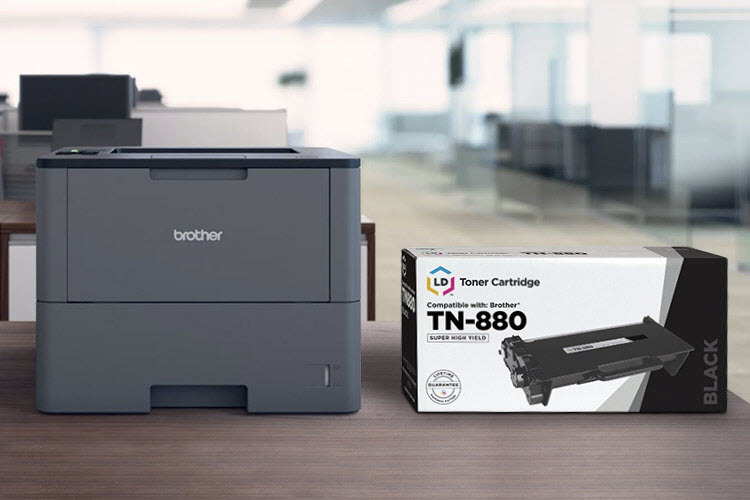 Instead of installing your standard printer cartridge, these printers include a built-in ink tank system to handle printing duties. The tank manually needs to be refilled with an ink bottle when your machine is running low, delivering the ink via an airtight tube to the printhead. Ink bottles can be far more cost effective than most ink cartridges, printing thousands of pages for pennies on the dollar. The Epson® 502 ink bottle series work in many EcoTank series printers, including the Ecotank ET-2750, Expression ET-3700, Expression ET-2700, WorkForce ET-3750, WorkForce ET-4750, WorkForce ET-4752. Epson Workforce WF-2860 All-in-One and the Epson Expression XP-5100 Small-in-One. Here, we cover installation for the ET-2700, but the process is similar with the other Ecotank printer models. Let’s get started! 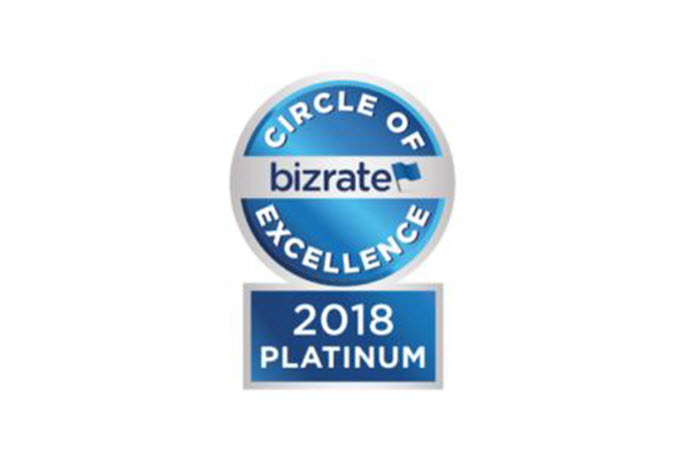 Jump straight to our installation video directly below, or keep reading to learn more about the ink and we will walk you through the installation! The Epson Expression ET-2700 EcoTank uses four 502 ink bottles, available in black, cyan, magenta and yellow. The black ink bottle contains enough ink to print approximately 7,500 pages and the color ink bottles print around 6,000 pages. 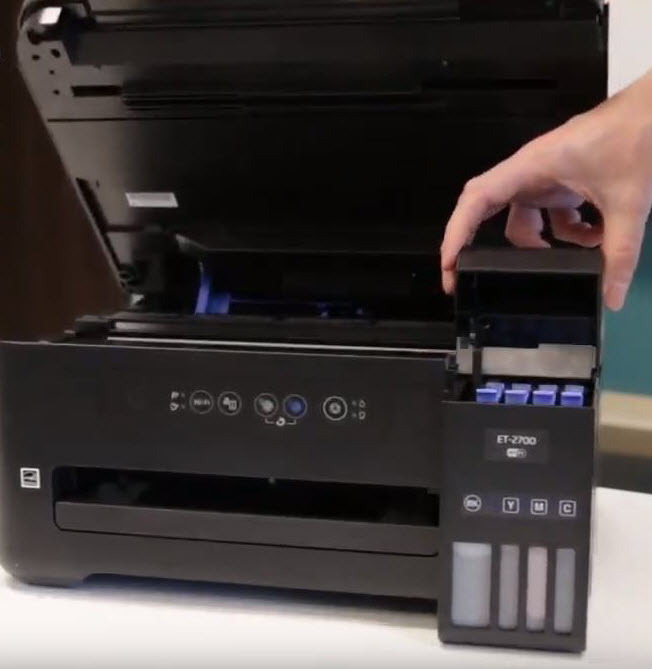 Accidentally spilling ink in or around your printer is a valid concern for first time users but luckily, Epson considered this when they designed their newer generation EcoTanks, like the the ET-2700. We didn’t experience any spills when we refilled our EcoTank for the first time thanks to the unique design of the bottles. Each bottle is specially designed so it won’t spill when you flip it upside down and the ink only dispenses when you line the bottle up with the slot in the tank. Check out our demonstration at the 51 second mark in the video above!! Of course, since you are dealing with a liquid, they aren’t 100% spill-proof , but if you are concerned about possibly getting ink on your hands, we recommend wearing a pair of latex gloves during installation. Checking the ink levels on an EcoTank is pretty straightforward. 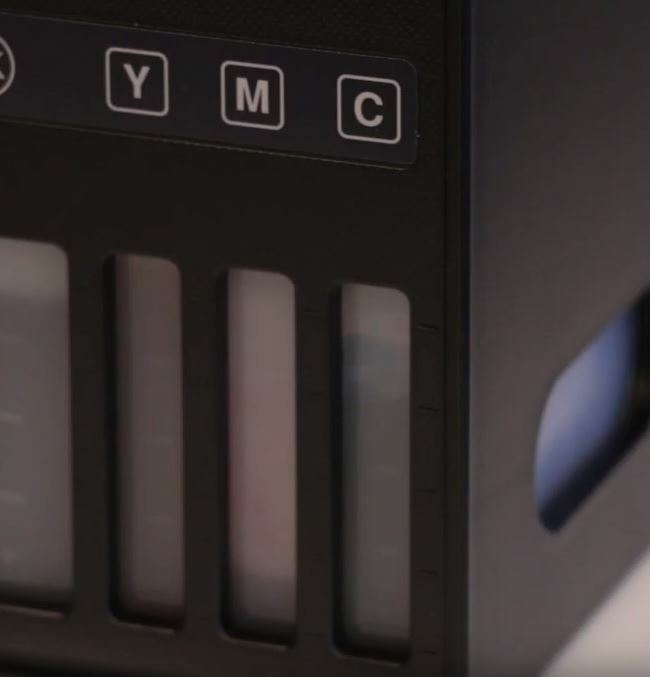 All you need to do is check out the levels on the tank display located on front the printer. You don’t have to keep all four ink tank levels completely full at all times, but you don’t want the levels to get too low before refilling. If the ink level starts to get down to the lowest line on the tank display, it’s time for a refill. Lift up the entire scanner unit and you’ll find that the ink tank cover is on the right side of the printer. 2. To fill up the tank, lift up the lid of the tank and then open up the cap of the color you’d like to refill. For this example, we will be refilling the cyan ink tank. Now if you take a look at the top of the ink bottle you’ll see that the nozzle is uniquely designed to fit in the slot of the cyan ink tank. Each bottle has a slightly different nozzle shape so you won’t accidentally fill the tank with the wrong color! 3. Line the nozzle up along the slot and insert the bottle into the tank. Wait for the ink to fill the top line of the tank. The ink will automatically stop flowing once it reaches the top, and then you can flip the bottle over and replace the bottle cap. 4. Close up the ink tank cover, lower the scanner unit and you’re all set, your cyan ink tank is full and you are ready to print! Get quality prints for a fraction of the price with our LD compatible 502 ink bottles! They offer the same amount of ink as an original Epson bottle and the installation process is identical too! Pick up our LD compatible 502 black ink bottle for just $8.99 and our color ink bottles for $7.99 each. We hope you’ve found this installation guide informative! 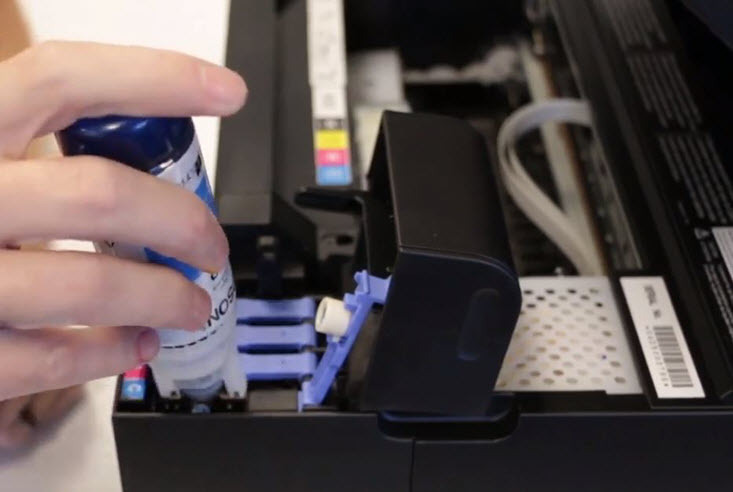 If you have any questions about the installation process or about your Epson 502 ink bottles, leave us a note in the comments below, we’d be happy to help! *Savings based on price comparison between remanufactured/compatible cartridge prices and printer brand (OEM) cartridge prices effective as of April 2, 2019 on www.LDProducts.com. OEM names are registered trademarks of their respective owners and are not affiliated with, and do not endorse LD Products.